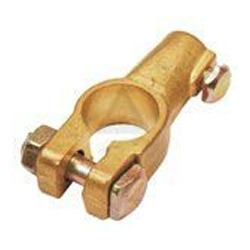 We are a leading Manufacturer of forging seiwa type - battery terminals, forging universal type - battery terminals, toyota type battery terminals, dustan plate, ford cargo with wing nut and forging angle type battery terminals from Jamnagar, India. 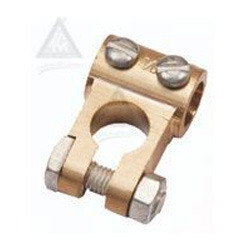 Being a trustworthy ad quality devoted organization, we are affianced in providing our esteemed clients with supreme quality Forging Seiwa Type - Battery Terminals. 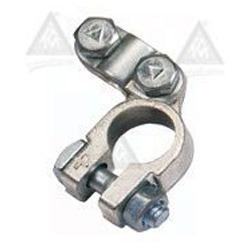 The battery terminals offered by us are specially demanded for fitting applications in batteries. 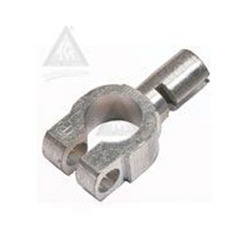 Our offered range of battery terminals is manufactured with the utilization of top-notch quality metal alloys and advanced techniques. We provide these battery terminals in several dimensions as well as finishes at industry leading rates to our clients. 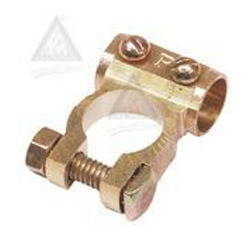 We are instrumental in putting forward for our clients a comprehensive range of Forging Universal Type - Battery Terminals that is made available in different sizes and finishes as per clients’ needs. 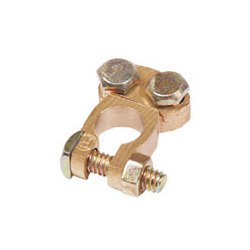 Our diligent professionals use supreme grade brass and the progressive techniques to manufacture these battery terminals with high precision. 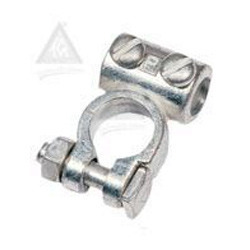 Furthermore, customers can purchase the provided battery terminals at economical prices from us. With competence and hard work of our talented professionals, we are marked as a trustworthy company affianced in providing the best quality Toyota Type - Battery Terminals. 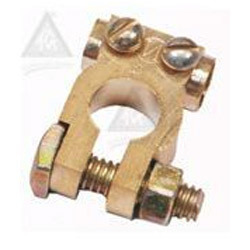 The provided battery terminals are manufactured by making use of exceptional quality brass and contemporary techniques in adherence with set industry standards. Apart from this, offered battery terminals can be purchased at reasonable rates. Being a customer oriented organization, we centralize towards offering the best quality Dustan Plate - Battery Terminals that are majorly used in battery. 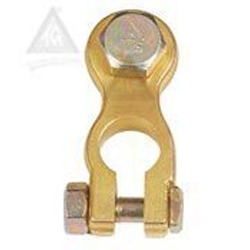 Our offered range of battery terminals is manufactured by using the best quality brass under the stern guidance of our diligent professionals. 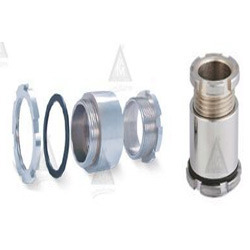 Available in both standard as well as customized specifications as per specified requirements of our clients, these battery terminals can be purchased from us at highly competitive rates from us.